Preheat the oven to 375 degrees F. Roughly chop the cauliflower and place pieces in an oven safe dish with 1/8 cup water on the bottom. 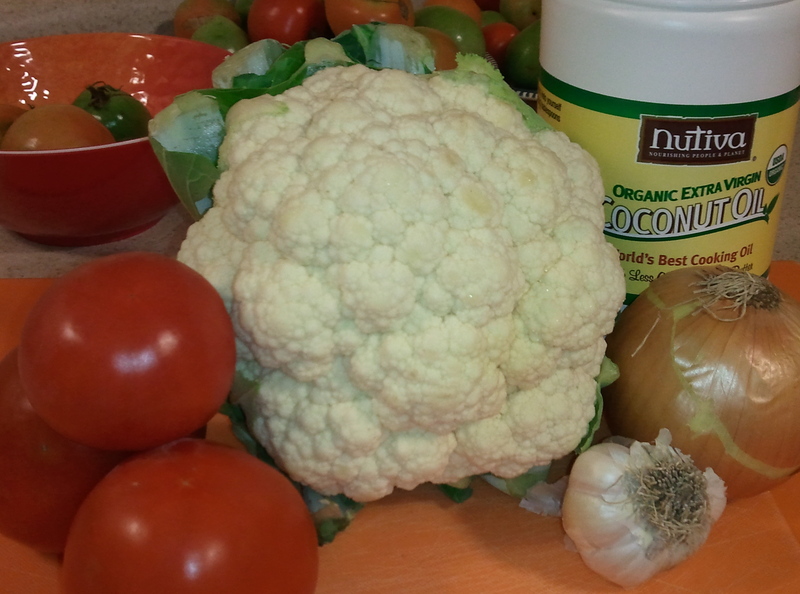 Heat two tablespoons of coconut oil in a pan and add 1 teaspoon mustard seeds and 1/4 tsp curry powder together. 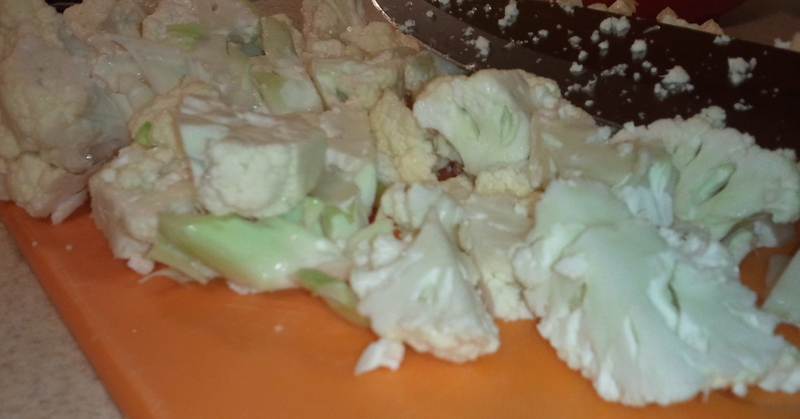 Mix the cauliflower in with the oil to completely cover it. Bake the cauliflower for 45 minutes. While the cauliflower is cooking, heat twotablespoons of coconut oil in a frying pan, mix in the minced onions and saute for about 5 minutes. 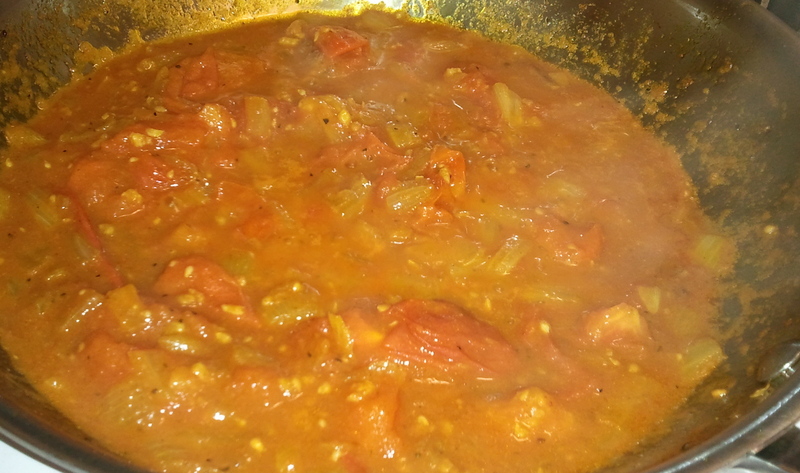 Add the chopped tomatoes, garlic, 2 teaspoons curry powder, ginger and salt. Add the cayenne towards the end of cooking. Let this mixture simmer for a while. 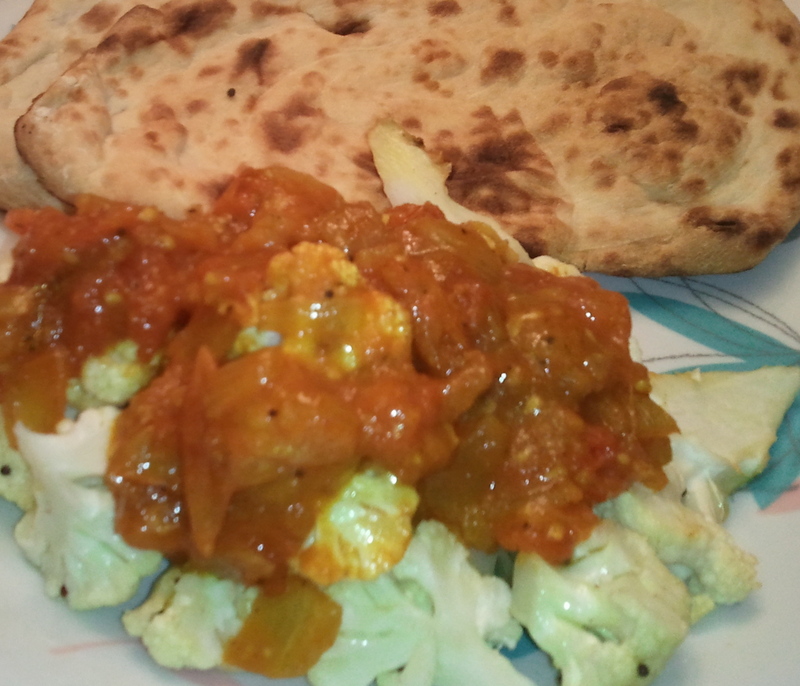 To serve, put the cauliflower pieces on a plate and cover with the tomato curry sauce. Serve hot with indian bread (naan), rice or quinoa.